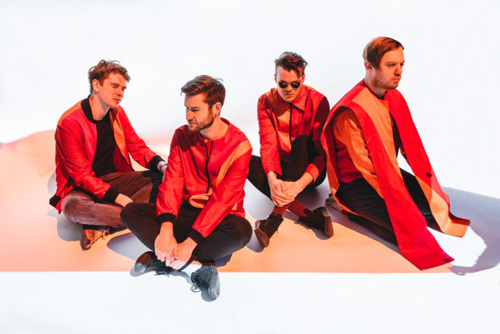 Just in time to remind the Mercury Prize panel they exist, Everything Everything have released a video for their recent album's pivotal track. No Reptiles got a lot of attention back in June for the line "I'm going to kill a stranger... so don't you be a stranger," sung by frontman Jonathan Higgs. "It's almost a cry for help," said Higgs in an interview with The Line Of Best Fit - but it's also a threat: Don't go away, because I won't be responsible for my actions if you do. The rest of the song discusses David Icke's theory that our politicians and business leaders are, in fact, blood-drinking, flesh-eating, shape-shifting extraterrestrial reptilian humanoids whose only objective is to enslave the human race. Incredibly, he decides this argument is somewhat implausible, opting for the (far more unsettling) view that the people in charge are just lazy and useless. All that millennial angst comes out in the video, a straightforward performance clip that ends with the band haemorrhaging blood under the blinking lights of an abandoned car park.